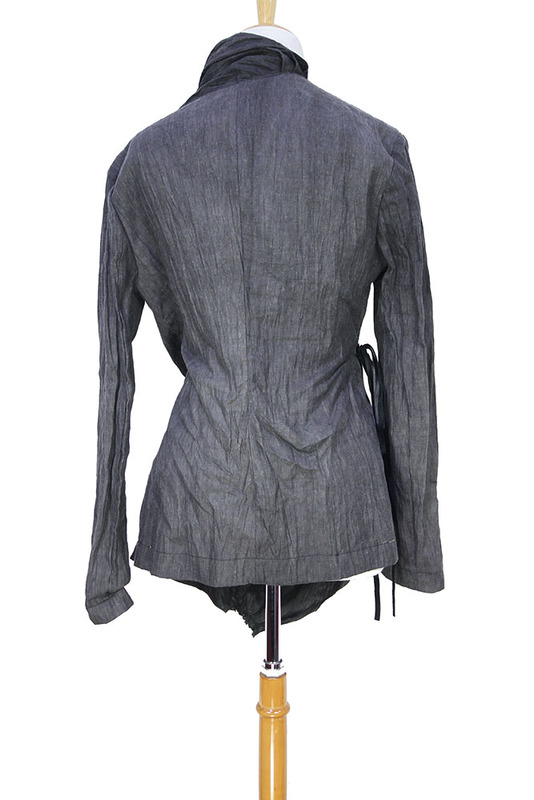 Barbara Bologna 'Half-Moon Jacket' in crinkled linen. Asymmetric neckline. Fabric ties. Crosses over from left to right to fasten. 2 pockets with flaps and left chest pocket. Raw edge details. Elegantly curved hem with gathered detail. Brilliant jacket which matches the trousers/skirt in the same fabric to make an awesome suit. From the Burn Collection.